4/5 rating based on 210 reviews. Read all reviews for Don't Starve: Pocket Edition for iPhone. 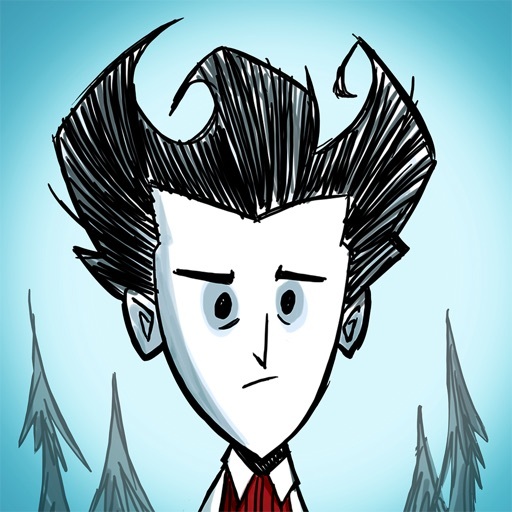 Don't Starve: Pocket Edition is paid iOS app published by Klei Entertainment Inc. The variety of items and resources combined with interactions with mobs and the map gives Don’t Starve endless gameplay hours. I love being able to personalize the map to adjust the difficulty in different aspects of the game. For the most part the controls are smooth and functional. I do have one complaint however; you can’t listen to anything while playing this game! I appreciate the effort put into the sound effects and music but the app should not decide what I can and can’t listen to. Though I enjoy this app and have spent WAY to much time playing it, I am quickly deterred when it turns off my podcast or music! Let me just start by saying I love this game, I’ve watched countless videos and use the wiki on a regular basis. That being said I’ve found bugs that aren’t normally found. I will list some of these below. Bug #1 If you happen to close the app after you die in the cave, ( I don’t know about the ruins), opening your world up again will cause you to forget your recipes and lose everything you had when in the cave. This is because the cave will regenerate and everything you had lost in the previous cave will be gone forever. I lost Chester’s eye bone, which you only get once in any world. Bug #2 Sometimes all the buttons stop working and the only thing that seems to work is the touchpad. This is annoying because it causes you to close the app, and when you open the app again it brings you back to the last time it saved. You can’t save when the bug happens because the pause button stops working too. Bug #3 The touchpad needs to be fixed. I have had countless times where I feed pigs, and when I use the touchpad anything in the bottom left will be targeted. This is annoying because I feed them to fight certain mobs or chop down tress, but then lose them if any strong mobs are in the bottom left of the screen. Bug #4 I don’t know if this is really a bug but when you’re constantly moving the character won’t warn you about upcoming hound attacks. This is really annoying because I’m playing Wolfgang and this makes it so I can’f prepare by filling my hunger. Bug #5 Alright this isn’t a bug either but it is REALLY annoying. When you attack, you instantly target walls. Who thought this was a good idea? This is horrible design as player’s would never have a reason to attack walls unless stuck. To fix this Klei should make it so that you tap and hold on walls, giving you the option to attack. The way it currently is infuriates me. Klei if you’re reading this ,which I doubt, ignore the kids pleading for Don’t Starve Together. It’s a ridiculous idea and they wouldn’t know the difference between a phone and a computer. Also if you could fix some of these bugs it would be greatly appreciated. I accidentally purchased this game and I must say it is a very good one I want a refund please..
Out of all of the survival games I’ve played, Don’t Starve is probably my favorite. But after playing all four seasons and then some, it gets a bit boring and lonely, like I stated in the title. Sure, you have tag along pets, but it’s not the same as having an actual person playing with you. It’d be a great idea to add Multiplayer mode to the game! Like servers so you could interact with other people, or play with friends, like in Don’t Starve Together. Otherwise the game’s great, no huge issues to fuss about. I love the mobile version of the game! Just having a hard time building walls. It’s difficult to place them in a straight line. Then, if ones off I can’t reposition it. I have to tear it down and rebuild the wall piece all over. A bit frustrating if you like a secure base.